Well, finally I have been provided some clues. Recently, a reader wrote to inform me that Ataturk had sent the historian, Tahsin Mayatepek to serve as the Turkish Ambassador to Mexico and that while he was there he was tasked with researching the similarities between the Turkic people and the Mayas. Also, Tahsin wrote five reports on the Turkic origins of Mayan civilization. This person has graciously agreed to translate these reports into English. As soon as I have obtained the English translations, they will be placed on the website under resources. Also, I have also discovered the name of an author Sinan Meydan that has written books on the subject of Ataturk and his study of the lost continent of Mu. I have yet to contact him, but when I do, I’ll pass along what I learn. 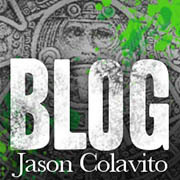 There are other theories competing with the theory of the Turkic roots of the Mayan civilization. For instance, there are several scholars and their works that postulate that Africa was the source of Mesoamerican civilization. These scholars point at the ‘African features’ of Olmec statues, introduced botanical evidence (the bottle gourd), and linguistic elements linking the African continent to Mesoamerica. Another theory elucidates that Vedic influences in India served as the basis for culture and civilization for Mesoamerica and likewise it has been postulated that the Tamil people from Sri Lanka and southern India first brought their culture and civilization to Central America. Certain architectural features and linguistic content are used to provide the proof of these hypotheses. Today’s standard theory of the origin of the people inhabiting the Americas is that there was a migration through the land-bridge through the Bering Straits or in small boats along the Pacific coastline from Asia. Of course, as the standard hypothesis, these theories are rejected almost immediately in favor of some of the other lines of research indicating long oceanic voyages or from the lost continents of Atlantis, Mu, or Lemuria. Even the dates of the earliest arrivals are a contentious issue. Based on archaeological evidence available when the theories were first postulated, the human presence in the Americas was dated to 10,000 years ago. When finds were made that pushed back these dates, the original theory became a conspiracy and those that had stated it were hiding the truth. The purpose of my research into the theories of James Churchward and the Lost Continent of Mu is to understand and interpret the evidence to reach a solid, defendable foundation of knowledge. Do artifacts from the Topper Site in South Carolina bear any resemblance to artifacts from the European Solutrean culture? Is there reason to believe Dr. Goodyear when he states that there are European influences in pre-Clovis sites in the Americas? Does the genetic evidence retrieved from the Windover site in eastern Florida indicate a heretofore unknown people? What about the age of some of the South American sites that predate any sites in North America, where did those folks come from? Does any of this mean that the European influences were derived from colonies of Atlantis before it sank or are these the remnants of the colonies of Mu? There are still many questions to be answered and probably even more to be asked. The veil surrounding the theories researched by Ataturk regarding the Great Uighur Empire and the Turkic origin of mankind will hopefully be lifted soon and serve as a starting point for further understanding. Lastly, let me state that I have the utmost respect for the final resting place for everyone that came before us. I understand the concern felt by some that the respect due them has not always been shown to the remains of Native Americans and I share their concern that disturbing their remains is against their wishes. However, I would be remiss if I did not mention that our knowledge of the people inhabiting the Americans is fragmented at best. One or more groups/tribes can trace their ancestry to a certain location for hundreds of years and while it is understandable that they do not wish for their ancestors to be dug up, the fact remains (i.e., the remains discovered at the Windover Bog site or the Kenewick Man), that the remains of some folks are not related to the people who were here when the European settlers arrived. With the laws on the books today, any research into finding out who some of the other peoples were is forbidden. Were more remains found today, archaeologists are not able to even test to discover whether or not they are related to the people known as ‘native Americans.’ Therefore, until something can be worked out to be able to research the peopling of the Americas, science takes a back seat to political correctness. My concern is that if someone does find the remains of colonists from Atlantis or Mu that date back ten or twelve thousand years, the find must be covered and everyone loses the knowledge which might tell us the truth, instead of the fragmented truth that is known today.